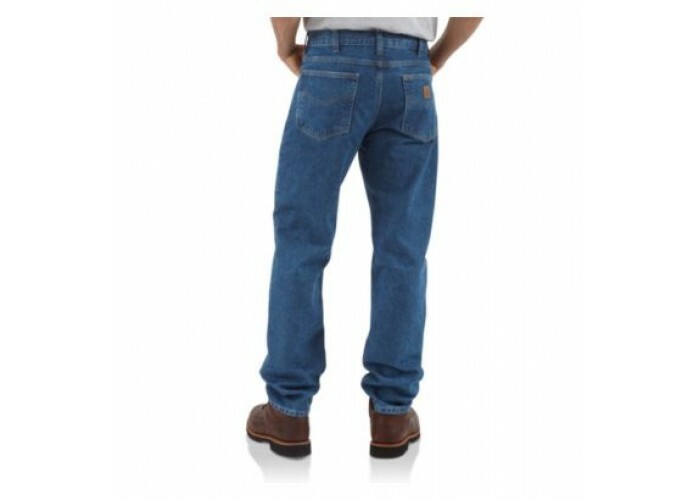 Built tough with rugged, of 15-ounce, 100% cotton denim, our Carhartt traditional fit jean features a slim fit through the seat and thigh. 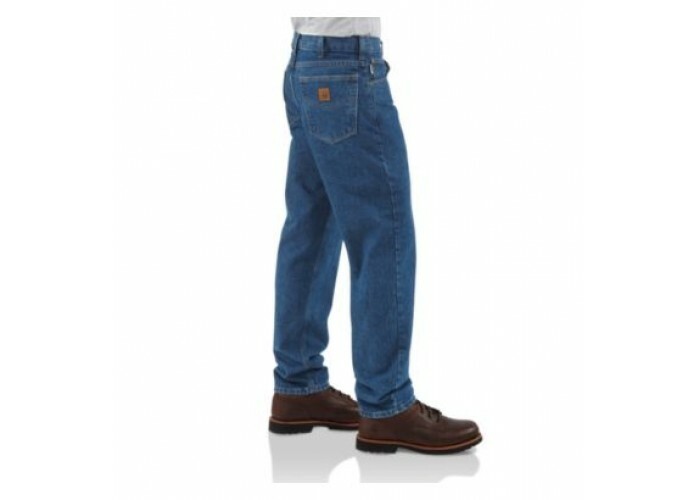 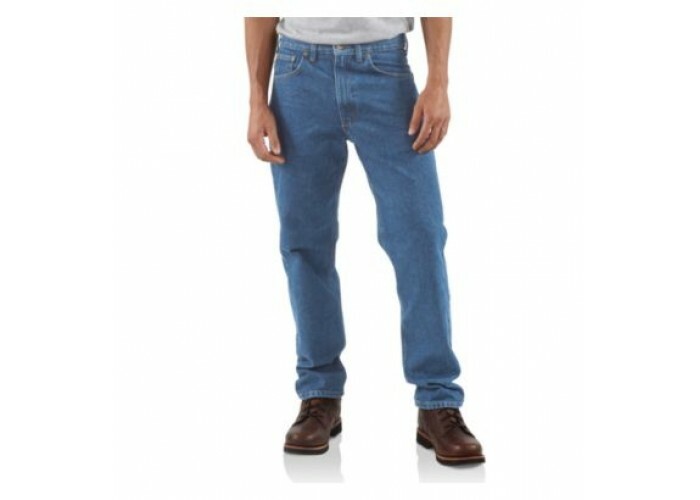 It sits slightly below the natural waist and features tapered, 15.75-inch leg openings. 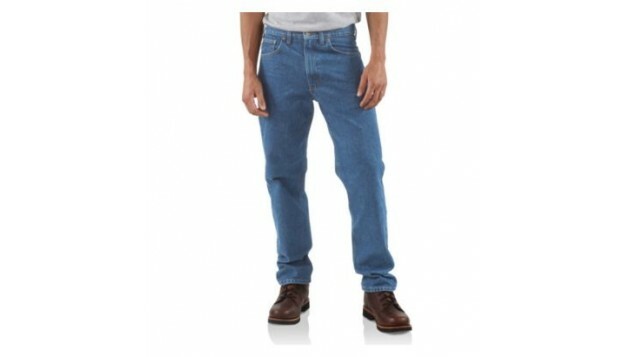 Stronger sewn-on-seam belt loops. 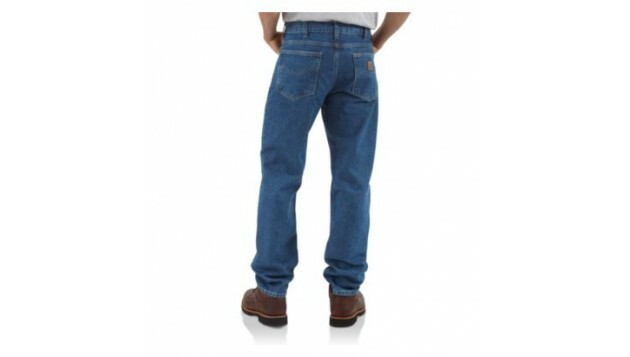 The back pockets are reinforced for strength.